Winner of this year’s Innovation Award at the Game Developer Choice Awards, Nintendo Labo is finally ready to woo kids with even more video game related toys. While we’ve known about the Nintendo Labo VR kit's April 12 release date for quite some time now, we finally have all the details of the VR set, including which games we’ll be able to play with the Labo VR kit. Totaling out to 10 different experiences and games, Nintendo Labo VR will offer plenty for players to do. Games like Marble Run, Bird Dash and Blaster are big highlights to take into account, while others like Ocean Camera and House Camera will provide more laid-back options for players. We’ve broken down each of the ten different Labo VR games below, as well as included a brief description to help you know what each one is about. Dive into the ocean and explore a beautiful virtual sea teeming with life. 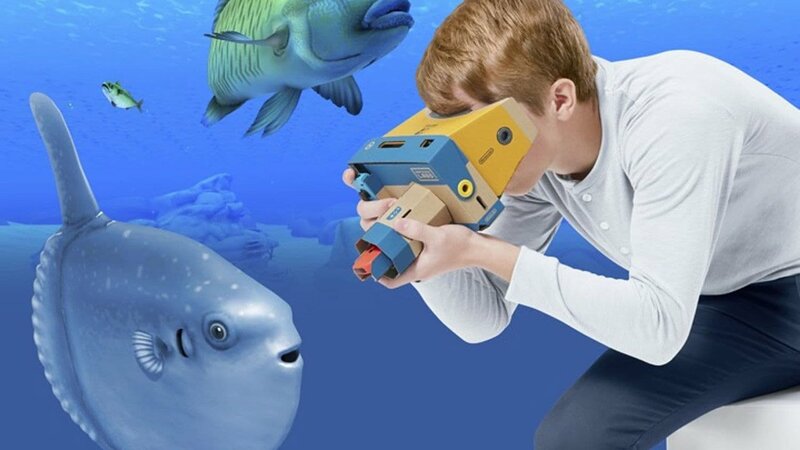 Take photos and interact with various sea species. Explore a mysterious house and interact with a variety of magical and strange creatures that live within it. Take photos and complete missions inside the house. Use the Toy-Con Elephant to complete physics puzzles using a variety of objects as you guide marbles through the rings. You can even create your own puzzles for family and friends to try to solve. Draw colorful art using the trunk of the Toy-Con Elephant as a brush. Includes a variety of styles, tools and colors to help you bring your art to life in VR. Use the Toy-Con Bird to soar through the air all while collecting items and helping to hatch little baby birds along the way. Nintendo Labo VR turns your Switch into a pair of VR goggles. Use the Toy-Con Bird and Toy-Con Wind Pedal to compete in timed challenges all across the sky as you boost your way through the clouds. The Toy-Con Pedal even shoots out a short burst of air that helps to enhance the immersive nature of the experience. Pick up your Toy-Con Blaster and join the war to fight back an alien invasion in this on-rails shooter. Wield your might Toy-Con Blaster once more as you compete against your friends to be the best hippo feeder. Fling fruit at the hungry hippos to try to lure them to your side and score all of the points. Take control of a frog using the Toy-Con Wind Pedal and you jump as high as possible on a stack of balls that grows larger with each passing moment. Use all of your Toy-Con creations to take part in this party-game collection featuring over 64 mini games that include various puzzlers, platformers and more. Can also just be enjoyed with the Toy-Con VR Goggles and Switch system. Alongside the array of games listed above, the Nintendo Labo VR kit will also include Toy-Con Garage. Anyone who has purchased a Labo kit before will recognize Garage as Labo’s easy-to-use programming set. Now, those who purchase the Nintendo Labo VR kit will also acquire Toy-Con Garage VR, which will allow players to make their own Labo VR experiences using the same tools that the Labo team used to make games like Blaster, Bird Dash, and the others included with Labo VR. 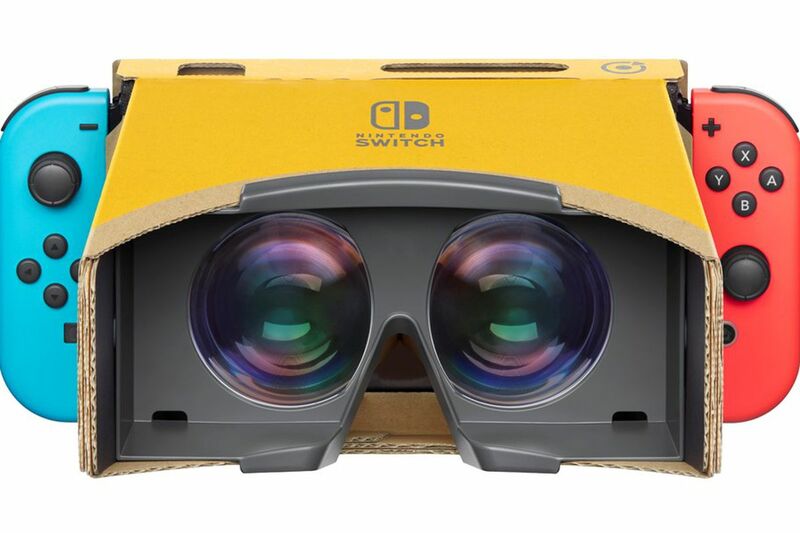 You can pick up Nintendo Labo VR by heading over to the official Nintendo website. Also, make sure you check out our array of other great Nintendo Switch content to see what else Nintendo has to offer.